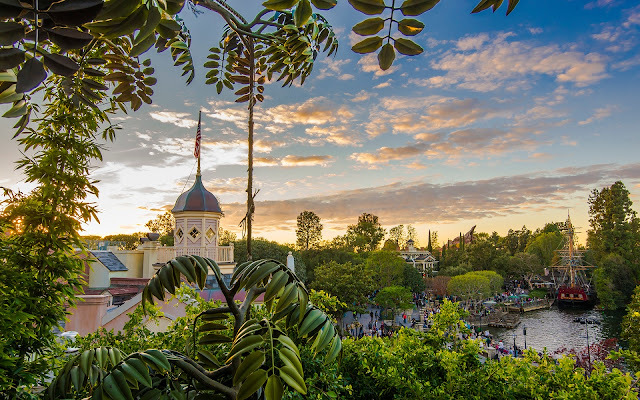 Every once in a while, I feel the need to post a photo from the top of Tarzan's Treehouse, looking over the west side of Disneyland. Over the years, I've posted a decent number of these shots. But it remains my favorite overlook of the park, so anytime I realize it's been a while since my last photo from here, I post another one! Another shot from high above Disneyland at Tarzan's Treehouse.